Scot Douglas took the Pro 4 win in front a huge Texas-sized crowd April 26. Funrise Toys, manufacturers of TONKA branded products from Hasbro returns for the 2015 Lucas Oil Off-road racing series with increased TV exposure. LOORS Regional off road race set May 16 at Lake Elsinore. Lucas Oil Off Road Racing Series, presented by GEICO, provided fans with some hot racing action. 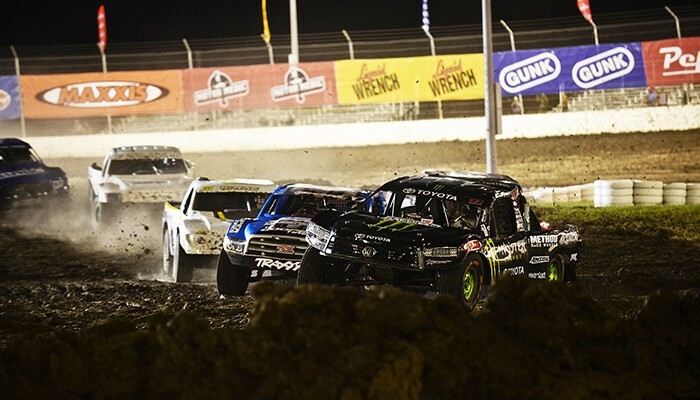 Heavy rain delayed the 2015 TORC opener at Texas Motor Speedway.